a large rounded orange-yellow fruit with a thick rind, the flesh of which can be used in sweet or savoury dishes. Welcome to the latest edition of our weekly newsletter (find previous ones here). Halloween is around the corner and you are probably being bombarded by shops selling all sorts of monsters, web nets, plastic buckets and smelly candles. So we thought we would join the party: we have selected some smart recommendations (the ones kids love) from both the Kinfo appand our thriving online collective (What? you are not there? Come on, join us, here). #BecauseParentsKnow. PS: don't forget to update your Kinfo app on your phone, there are some new useful features such as the map, which helps you to find recommended places near you. (App store / Updates / Kinfo). 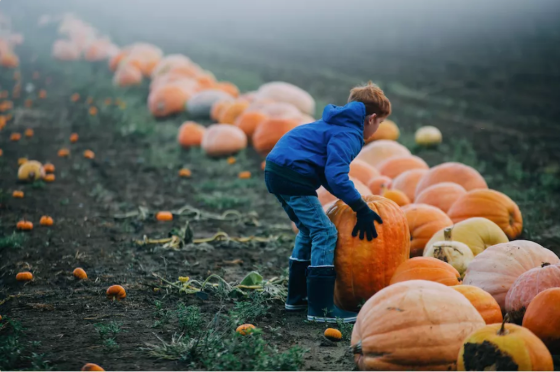 Recommended by a dad, Surrey's pick-your-own vegetable and fruit farm reopens for a special week during half-term (Tuesday 24th - Sunday 29th), when you can choose your pumpkin among the 30,000-and-counting that they have grown this year. If you are in the mood for pumpkin but also fresh squash, carrots, sweetcorn and cabbages, this PYO will satisfy entirely. Their shop sells delicious farm produce too, as noted by a dad who recommends it. Oh, and it's going to be sunny and warm this weekend. Perfect to let your child running in a pumpkin patch. We have discussed these spots on our online group (again, join us here): West London parents around St John's Wood and Maida Vale take their little vampires and witches to streets off Carlton Hill while Queen's Park's families are spoiled with a lot of festive decorations and early evening fun in the area. If you live near Brook Green or Hamsptead (lucky you) you might wander around and see what you bump into in the night: Jonathan Ross's house always draws a big crowd, for instance, with dressed up characters doling out sweets as he hosts a party for his friends inside. This "oasis of greenery" in East London takes Halloween very seriously. 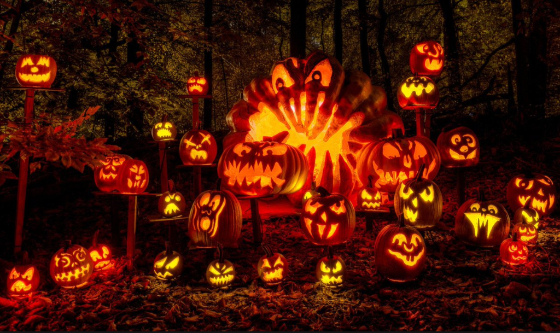 They organise (free) "Big Pumpkin Carving Days" this weekend (Oct 21st and 22nd) in order to be ready for their "Big Pumpkin Lantern Show" on the 22nd from 6pm (Families only between 6pm and 8pm). 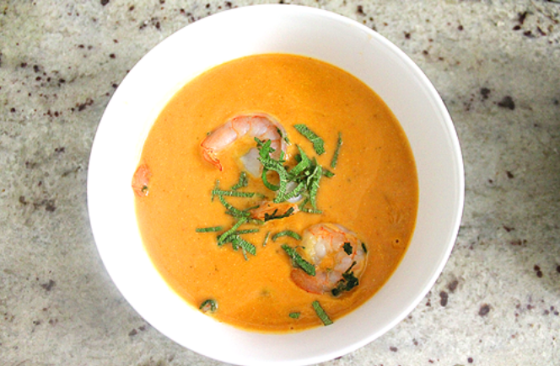 If you ever thought that pumpkin soup sounds kinda boring, you haven't tried this one recommended by a mum of two. She explains in details the method on our app Kinfo. 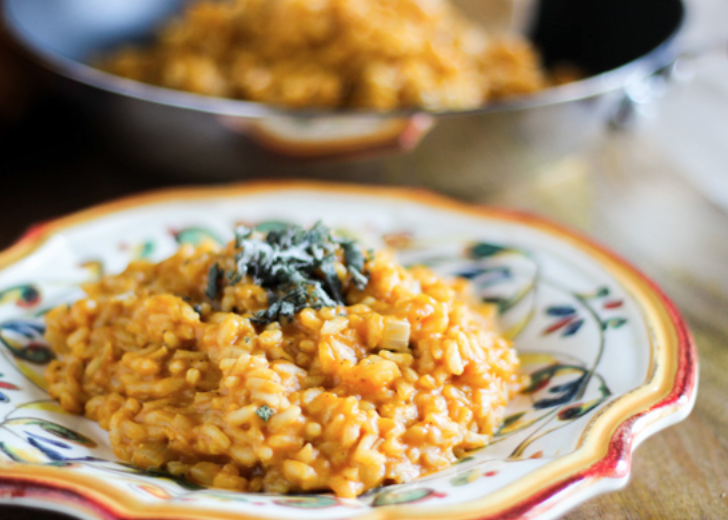 This is "my daughter's favorite meal," said a mum who recommends her recipe on Kinfo, here. This is such a good way to avoid waste once the trick-or-treat bags have been packed away for another year. 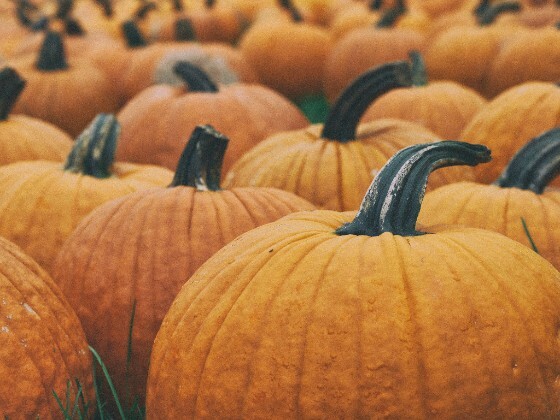 Once you have selected the perfect pumpkin, try this video that a dad has recommended on Kinfo app. No fancy tools, no complicated design, just efficient faces to make them smile or scream. 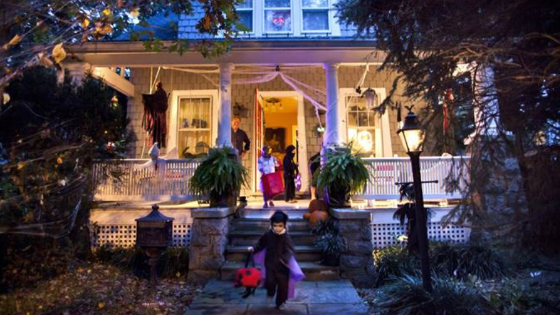 What is your kids' favourite Halloween Trick or Treat spot?